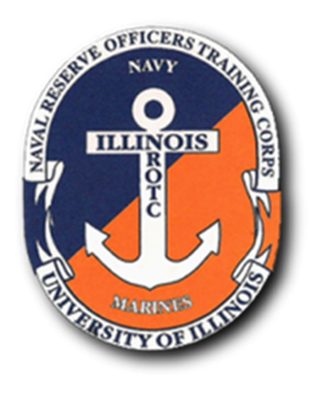 Welcome to the official online presence of the University of Illinois Naval Reserve Officers Training Corps. Receive the National Scholarship? Find out what's next. We call ourselves the World's Greatest NROTC Battalion (WGNB) for a reason. At the University of Illinois, Midshipmen are receiving a world-class education while also participating as highly motivated members of the Navy/Marine Corps team. Through many extra-curricular events and opportunities for professional growth, Illinois midshipmen are laying the foundation for success in the fleet. Our mission is to educate and train qualified young men and women for service as commissioned officers in the Navy's unrestricted line and the Marine Corps. As the largest single source of Navy and Marine Corps officers, the NROTC Scholarship Program plays an important role in preparing mature young men and women for leadership and management positions in an increasingly technical Navy and Marine Corps. The University of Illinois NROTC is pleased to have put four graduates, Sam Beasley, Forrest Boggs, Austin Gregson, and Isaac McIlvene, through Officer Candidate School and became United States Marines! All of the hard work and dedication that they have out in over the past few years has finally paid off. These gentlemen fall in the top 1% of the nation's population and we are proud that our Midshipmen have stood up to lead the country forward once they graduate college and commission as Officers in the Marine Corps.